Tell me more about Genesis Robotics and what your company does? Genesis Robotics is a Canadian R&D company that creates technologies that enable robots to be faster, safer, and more versatile. While many robotics companies specialize in artificial intelligence and machine learning, we focus on improving the mechanical design of robots. We have a talented team of engineers and designers that are constantly pushing forward and solving the industry’s problems, while truly defining the “state of the art” when it comes to actuation. We believe if you improve how robots move, it will have such a positive impact on people. And, moving society forward through robotics has been our mission since Day 1. We know that in order to bring robots to life and have them move at the speed where they can become safe, effective, and useful to the masses, the “muscles” of the robots need to be addressed and improved. What is the difference between your actuator and the ones that exist today? Believe it or not, the majority of robots out there today use the same gear-based actuators that have been on the market for several decades. Because gears are complicated, inefficient and introduce control issues, the mobility of machines are limited. We are changing that. With LiveDrive, we are trying to eliminate gears and shift the industry to direct-drive actuation. Because of its unique form factor, robots are able to operate at higher speeds, with more precision, and engage in safer interactions with people. How does the LiveDrive address some of the barriers currently facing the growth of the exoskeleton industry? 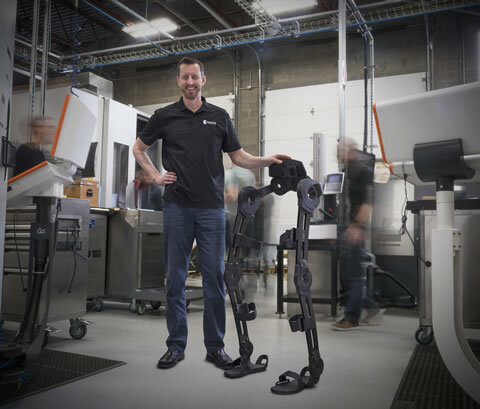 Although the exoskeleton industry has made some strides in the last few years, there are still multiple barriers that are holding back the true potential of an exoskeleton. Current exoskeletons are bulky and limited in their range of motion. Can I fit through the door? Can I move at a similar pace as the crowd, and be able to change directions fluidly? With those restrictions, you can see how it is hard for a person to feel comfortable and confident in their ability to move freely. The LiveDrive will change the way exoskeletons are built and how they perform. By creating better actuators and better motion, we can build better exoskeletons which allows us to empower people that have mobility limitations. The exoskeleton that we are developing and have patented is more compact than other exoskeleton designs, and that is mainly because we are replacing the large gearbox-based actuators with the LiveDrive. Combining our actuators with our unique exoskeleton design also drastically improves the versatility of a user’s motion. They will be able to make more natural, intuitive movements in multiple directions versus restricted, forced movements. Our aim with the exoskeleton is to give people their freedom back. How does the LiveDrive make robots cheaper and more precise at the same time? Gear-based actuators are expensive, high-maintenance, and introduce a concept called “backlash” which is basically the “play” in the gears, which impacts precision. We designed our actuators for both performance and precision. However, in order for actuators, and robots overall, to have mainstream adoption, they have to be affordable. At the right price point, robots are ready to assist the elderly to live more independent lives, and allow them to stay in their own homes longer. Reducing the complexity, number of moving parts, and base materials costs can make this a reality soon. This is the focus of development at Genesis Robotics. You talk about getting exoskeletons and transporters into every home? How do you see that happening? We know the foundational technology and design for our Exoskeleton and the Transporter are ready. The designs are patented and everything is in place. As an R&D company, we are now working on finding the right partner to help manufacture and commercialize our suite of technologies. We know cost will be the catalyst for mass adoption. We are doing our part by designing the LiveDrive to be cost-effective, with less materials, less complexity and better form factors to reduce the overall cost of robots and exoskeletons. When you look at the 1980s and the explosive growth of the personal computer market through to the late 1990s. The inflection point in that growth came with the introduction of a high performance, low cost microprocessor. A high performance, lower cost actuator is all that is required for the same inflection point in robot adoption. Can you paint a picture for how the lives of the aging population will be made better? When you look at our inventions like the Exoskeleton and Transporter, they were all derived from personal experiences. Our CTO, James Klassen – who is a lifelong inventor – designed the Transporter to help carry groceries for people like his mother, who had suffered a stroke and had limited mobility and strength. Improving the quality of life for our aging population has been near the top of our priorities since our inception. We think about the elderly population that's emerging around us, with baby boomers coming out of the work force – we know that they have a desire to live independently. We picture a reality where they have safe robots in the home to help them lift heavy pots off the stove or heavy baskets off the floor. Or walking robots that can carry their groceries home or carry their luggage through an airport. We envision them being able to use robots to get the freedom they want. What other applications do you see out there for the LiveDrive? We believe the possibilities are truly endless. Because of the capabilities of the LiveDrive and the fact that we can scale to fit a variety of sizes, our technology is adaptable, relevant, and effective in most robotics applications. We just talked in depth about how our robots can assist in health care and personal use cases. But the LiveDrive can also make cobots move and perform better. Cobots will eliminate mundane and repetitive tasks for workers. Also, replacing gear boxes in the automotive, transportation, and aerospace industries will also benefit and evolve with the implementation of the LiveDrive. And of course, our technology will be instrumental for home or consumer robots. Actuators that are cost-effective and more importantly, safe, will open the doors for widespread adoption the same way smart phones and Internet did before. 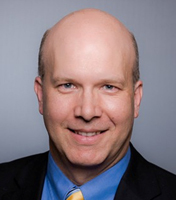 Mike is passionate about providing solutions and support that empower organizations to realize the successful execution of their business plans and objectives. Benefiting from over 20 years of diverse experience in Software Development and Solutions, Telecommunications, CCTV and Access Control, Data Communications and Business Consulting, Mike has lead teams in Business Operations, Sales, Marketing and Technical Services.